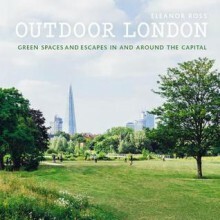 London is a patchwork of wild spaces, open water, parklands and adventure playgrounds. With so much green space, this is the ideal guide to get exploring. Whether a local or a visitor looking to see the wilder side of the big city, Outdoor London covers the full spectrum of outdoor opportunities. If you’re looking for water to paddle in or on, paths to amble down slowly or careen down on mountain bikes, wide open spaces for music festivals or simply to find an empty pasture, you’ll find something for everyone in this easily portable London guide.